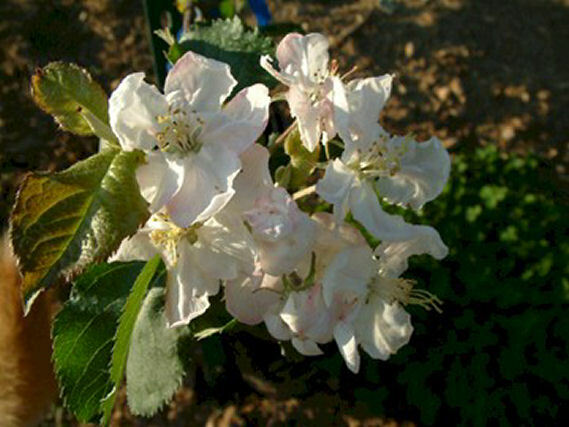 Once believed to be extinct, this unique North Carolina apple was rediscovered several years ago by that dedicated apple hunter, Tom Brown, of Clemmons, NC. Bryson’s Seedling originated in Jackson County, NC, and was first described in a 1904 catalog from the Maryland Nursery Company of Baltimore. Fruit is very broad, enormous and very flattened in appearance. The rough skin is mostly greenish-yellow and overlaid with light and dark red. The greenish-white flesh is firm, crunchy and juicy. 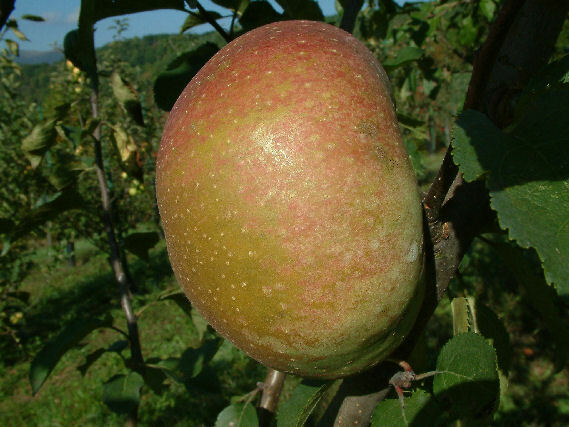 Ripens in late October and stores extraordinarily well, keeping firm and solid well into March. Hi this is Robin Spencer, with my current order could you include 3 Bryson’s Seedling , please and thank you ! ………..Robin Spencer, 5124, Idlewild rd, Sault Sainte Marie Mi……( 906. ) 253- 0352. ………….Thanks ! Could you please put 3 Bryson’s Seedling on my current order? ……. graft on a semi dwarf, or send scion to me ! ….thank you !